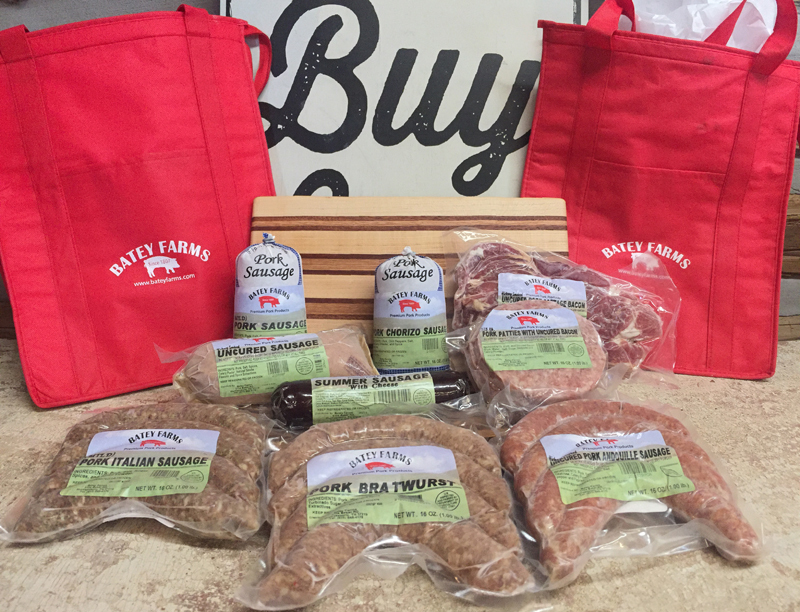 Purchase these products at our farm store during Fridays 2 – 6 pm, or Saturdays 9 am- 1:00 pm. 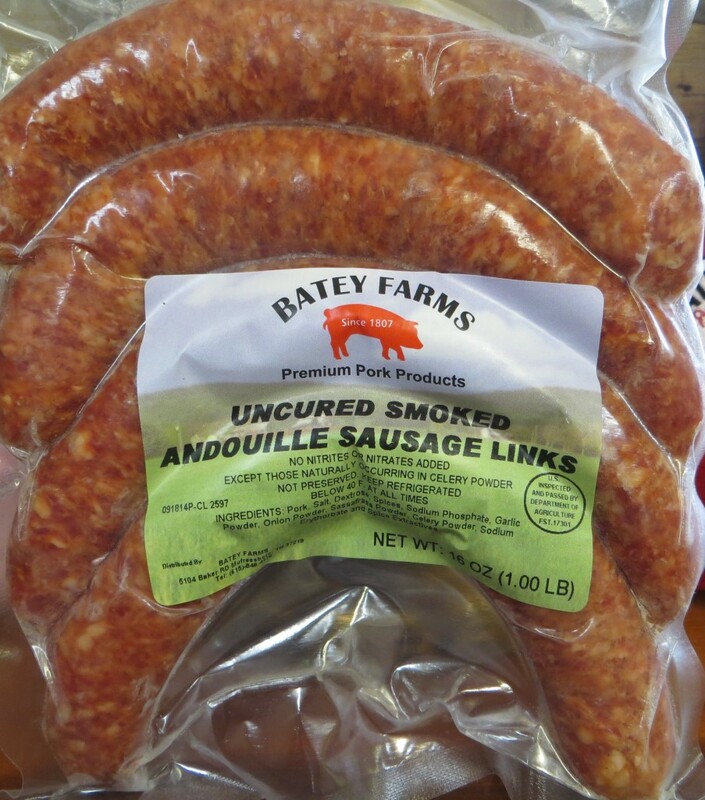 If Cajun’s your style your sure to Love the zesty flavor of our Andouille. Welcome to a wonderful new world! You can thank us later! 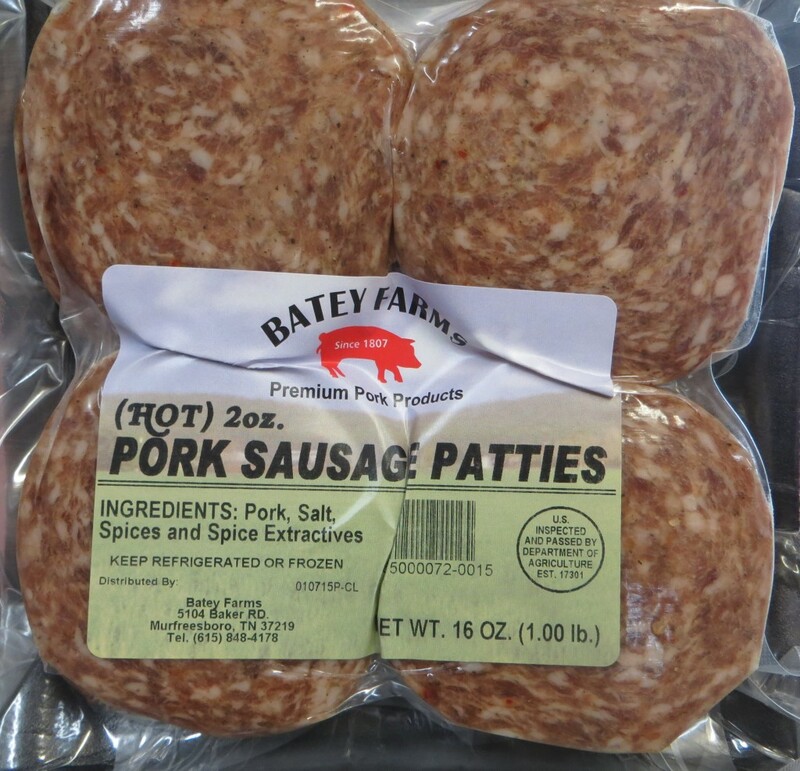 Try these delicious patties out! 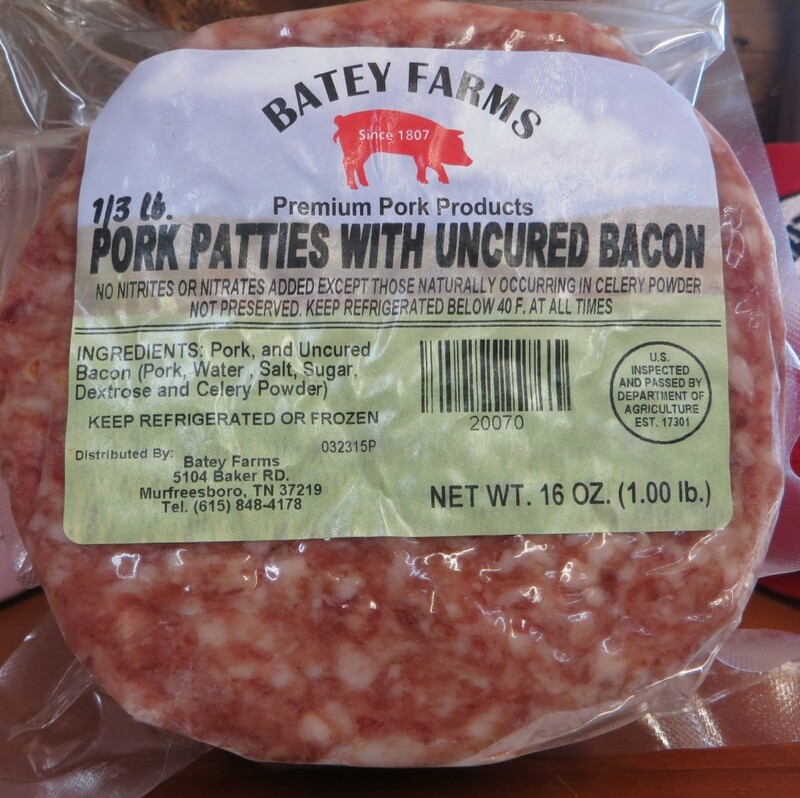 Sure you’ve had a bacon cheeseburger before, but you haven’t had the Batey’s Bacon Pork Burger. 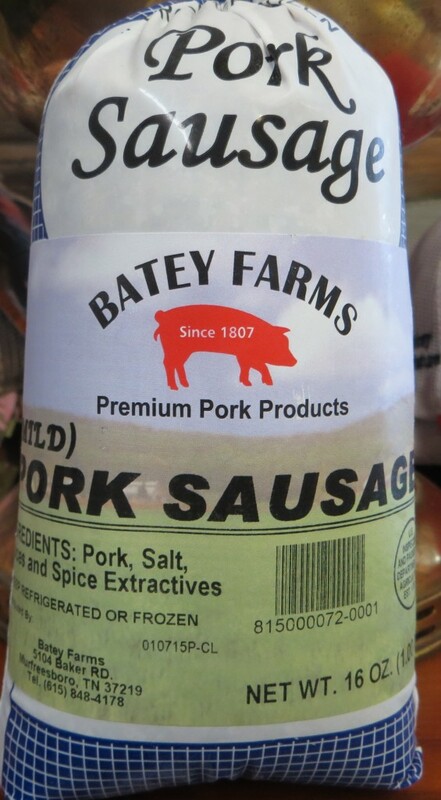 Delicious, carefully selected ground pork with yummy bacon added for just the right blend! No seasoning needed! 1lb. 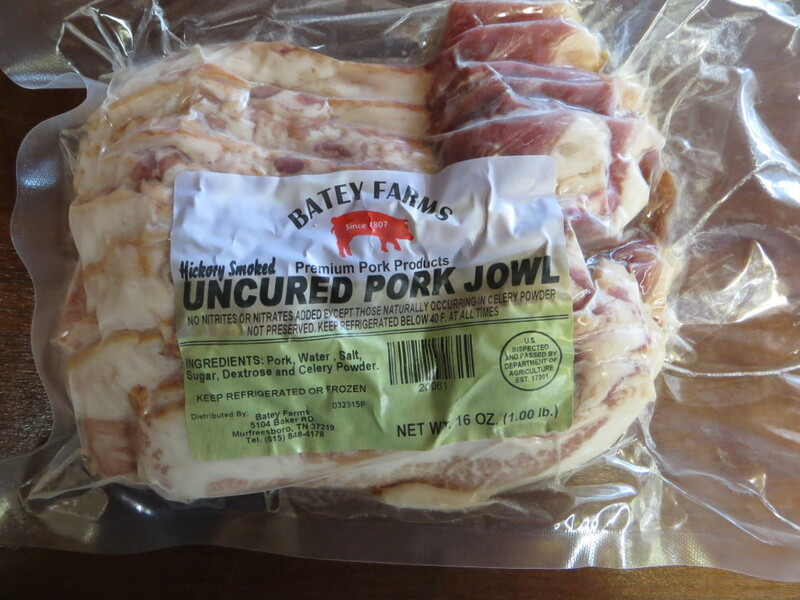 package, contains three 1/3rd lb. 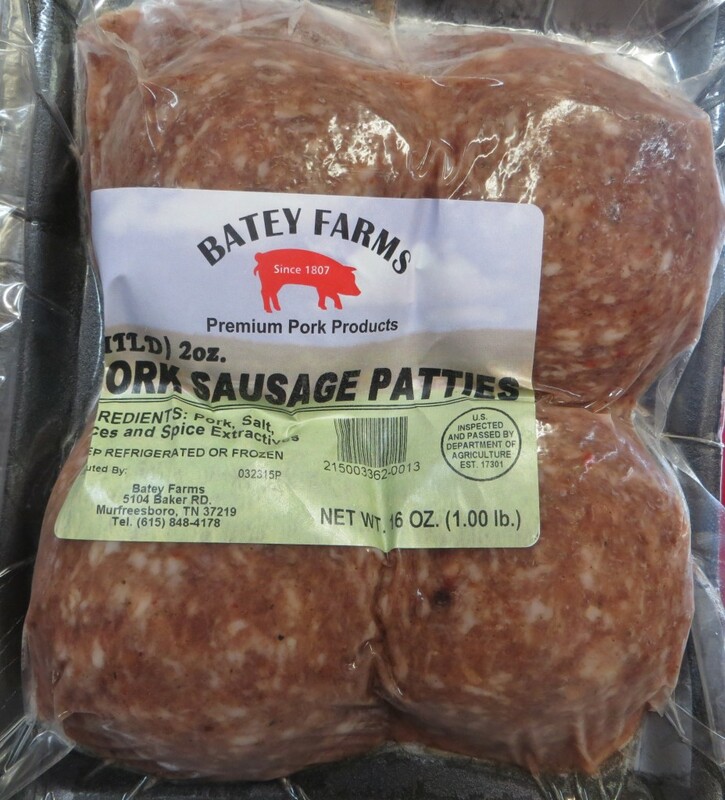 patties. 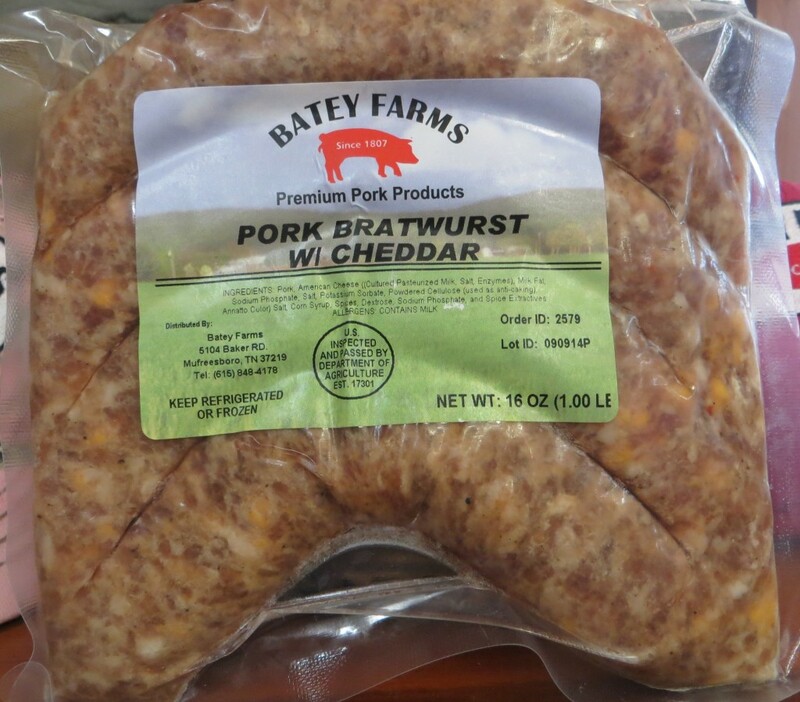 Our traditional Brat with just the right blend of amazing cheddar cheese! 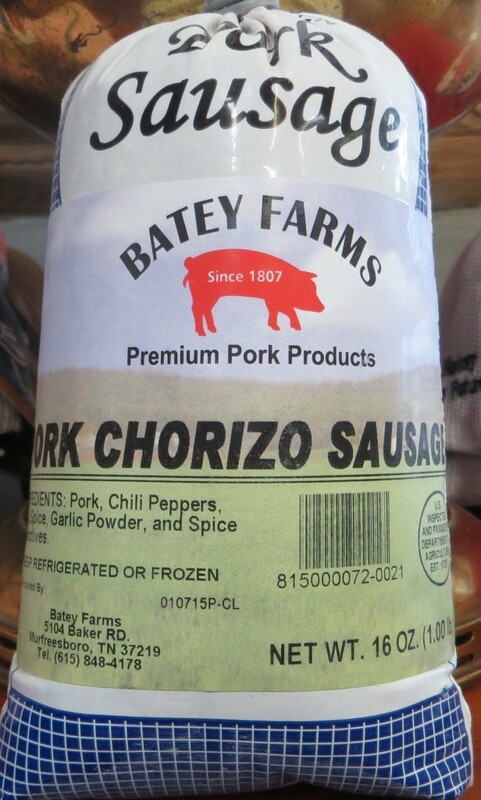 1 lb bulk package of Chorizo. Perfect for taco night! 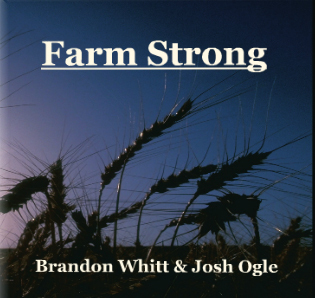 Farm strong was written with the underlying belief of faith, farm and family. Co-written with our good family friend Josh Ogle of Lincoln county. 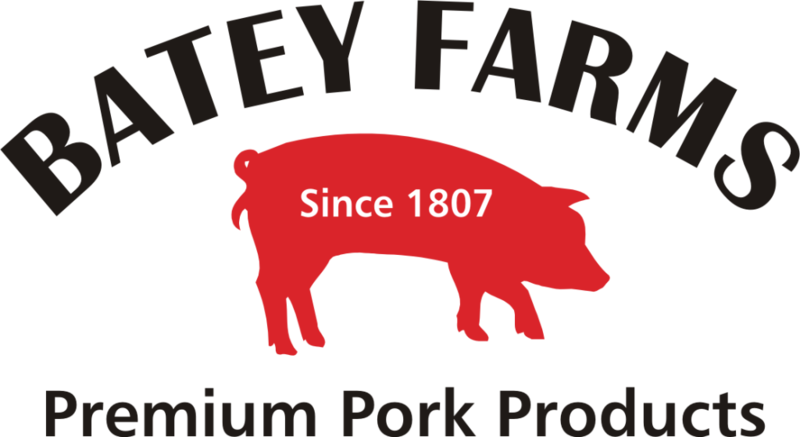 Our effort is to help the Hatcher Family Dairy raise money to fund the newly formed “farm strong” scholarship foundation. This scholarship is awarded to Tennessee Ag students wishing to pursue a career in agriculture. **Substitutions of equal value may apply depending on product availability. 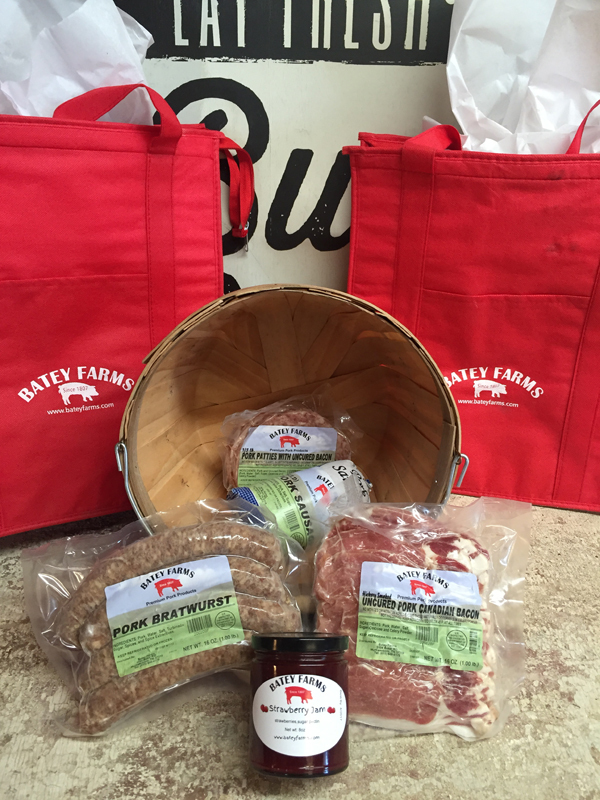 Gift Certificates are available in any amount and good for anything in the farm retail store. 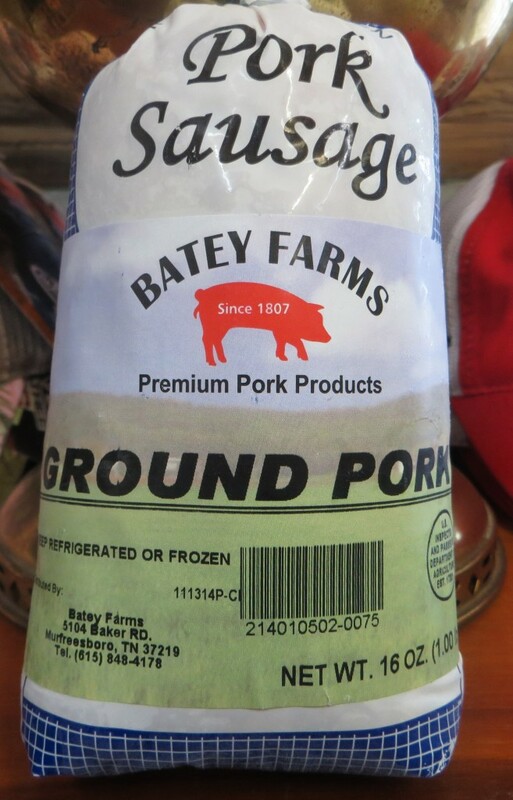 Ground Pork 1 lb. package. An easy substitute for ground beef. 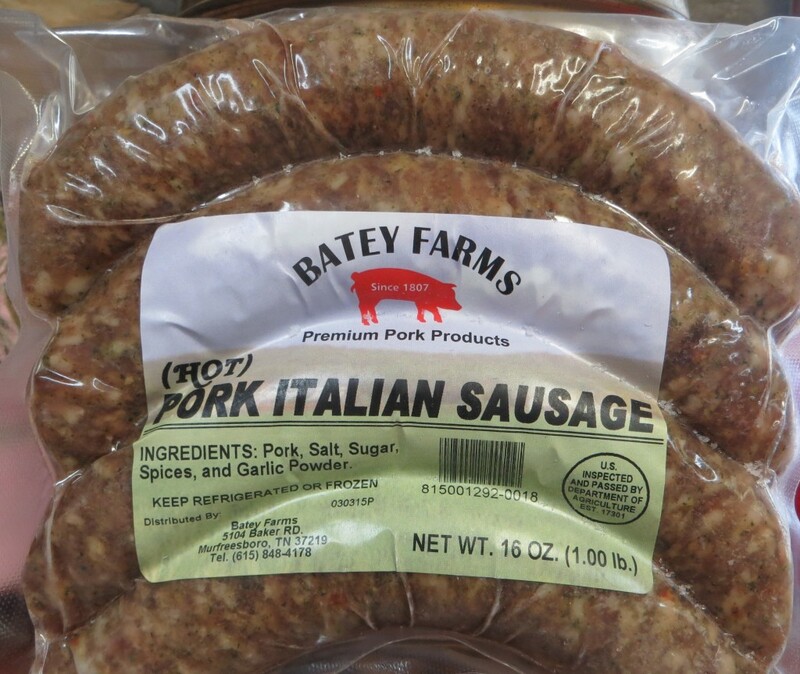 Hot sausage 1lb. bag. 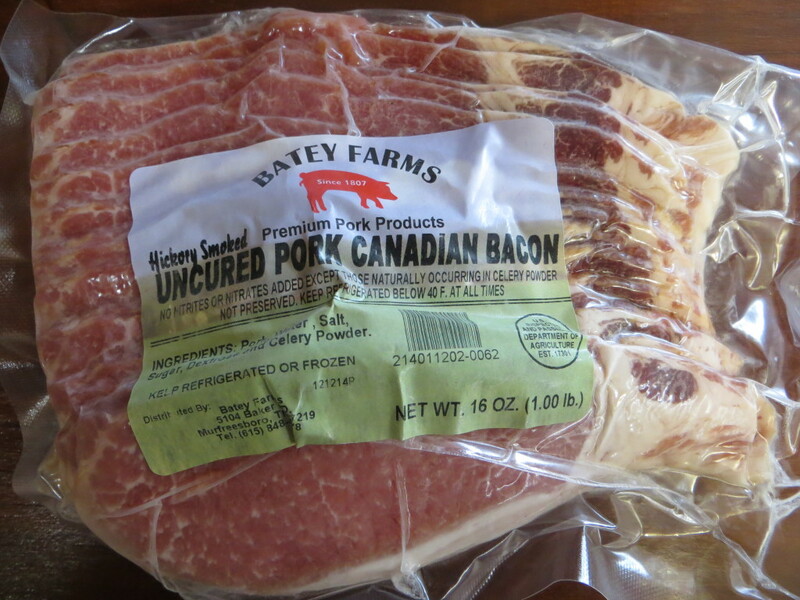 For those looking for a nice kick in the taste buds to get your morning going! YES, we have them! And OH SO good! 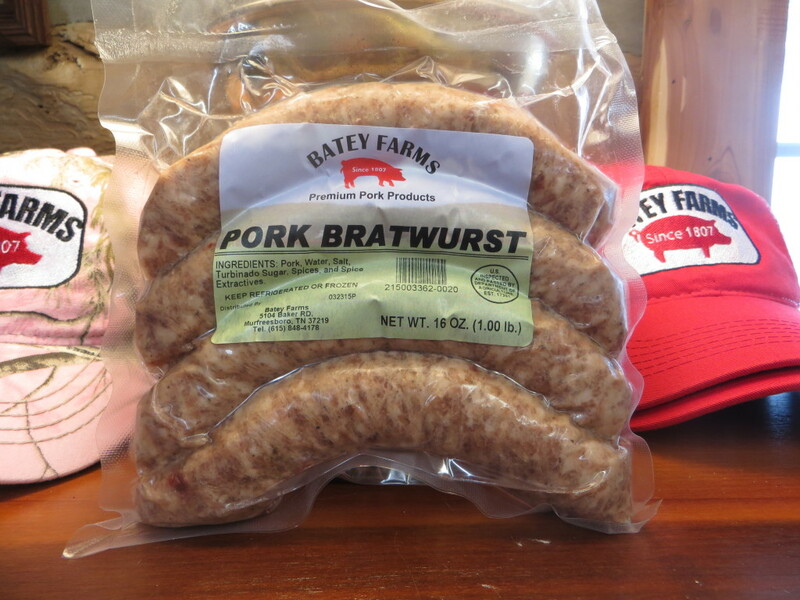 Quickly becoming one of our most popular products. Give them a try and let us know what you think. 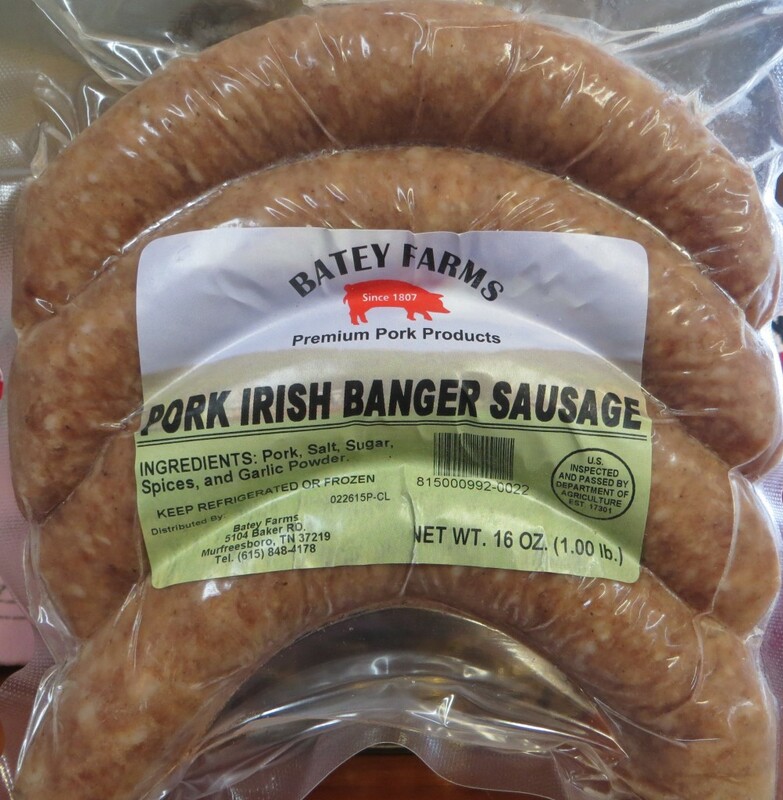 Mild Sausage, 1 lb. bag. 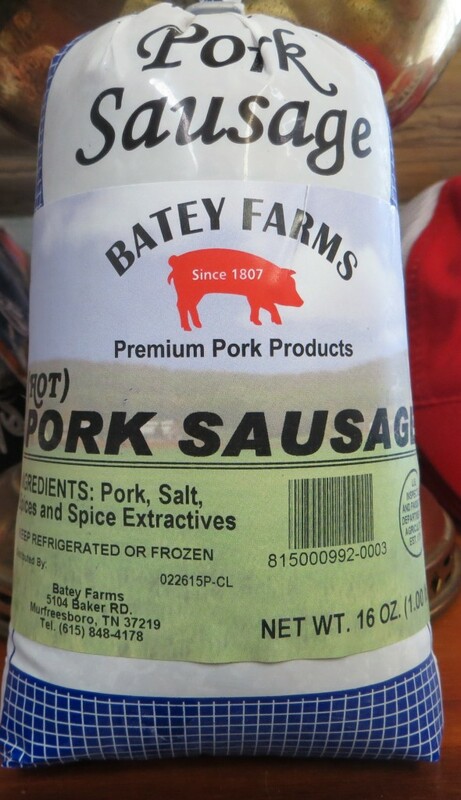 Truly old time country sausage with just the right kick to start your morning. 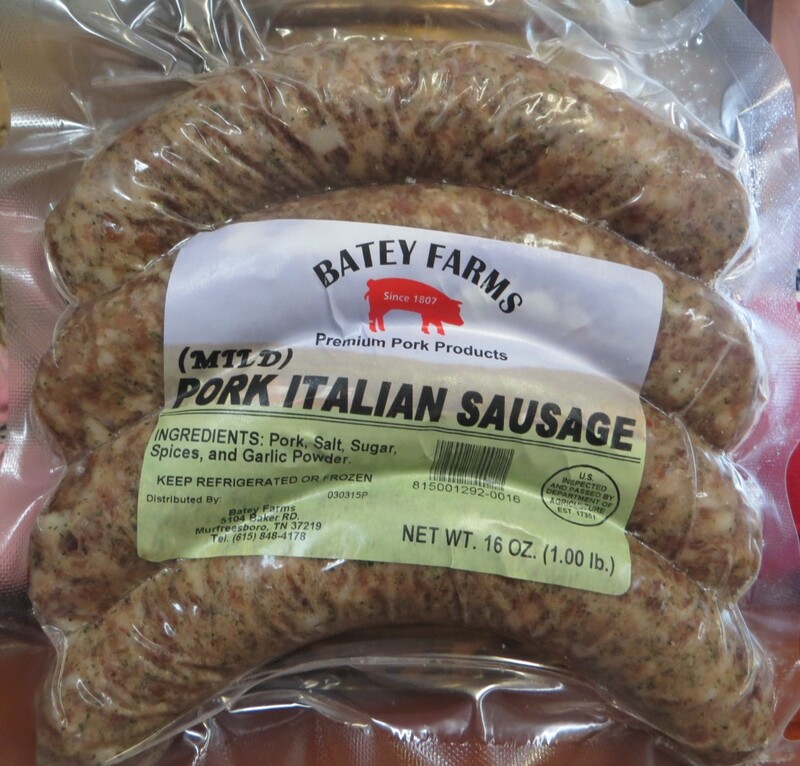 All natural meat and seasonings. 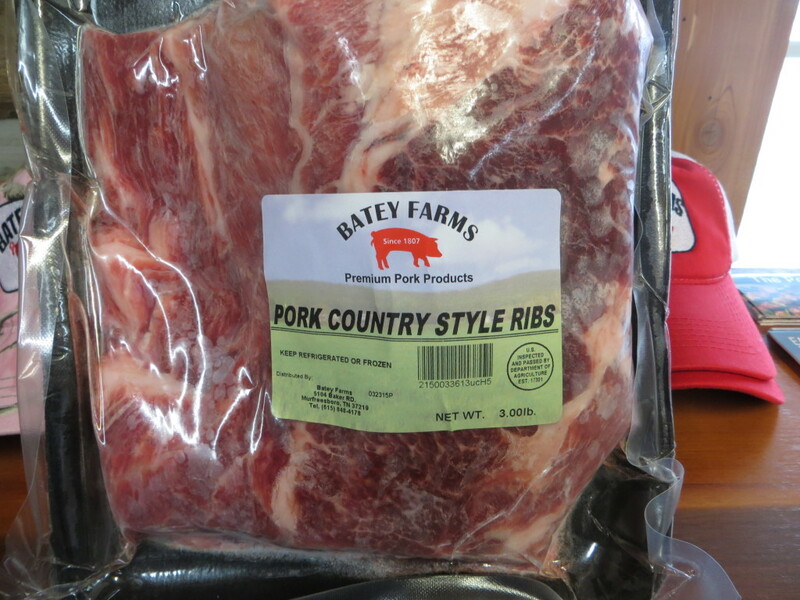 Other cuts sometimes available at our Farm Store are: Osso Bucco, Pig Tails, Boston Butts, Picnic Shoulders, Whole Loins and Ham Slices. Formerly known as the Kasekraner, but don’t pass this one by. 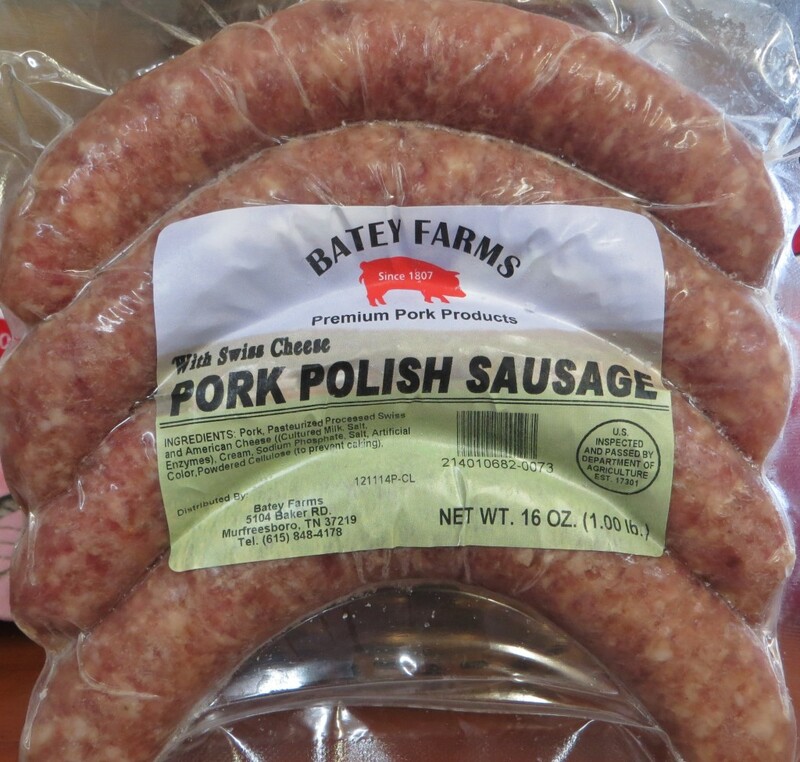 A traditional polish style sausage with the best Swiss cheese from Wisconsin. This blend is simply habit forming! 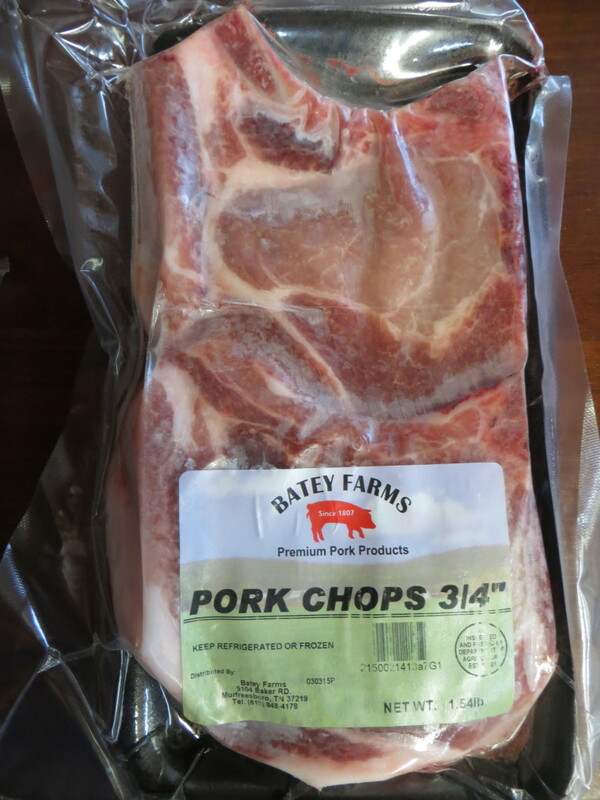 3/4″ cut chops 4 per pack. Weights range from 2.25-3.25lbs. Reserve yours now with a $25 deposit that will be applied to your order. 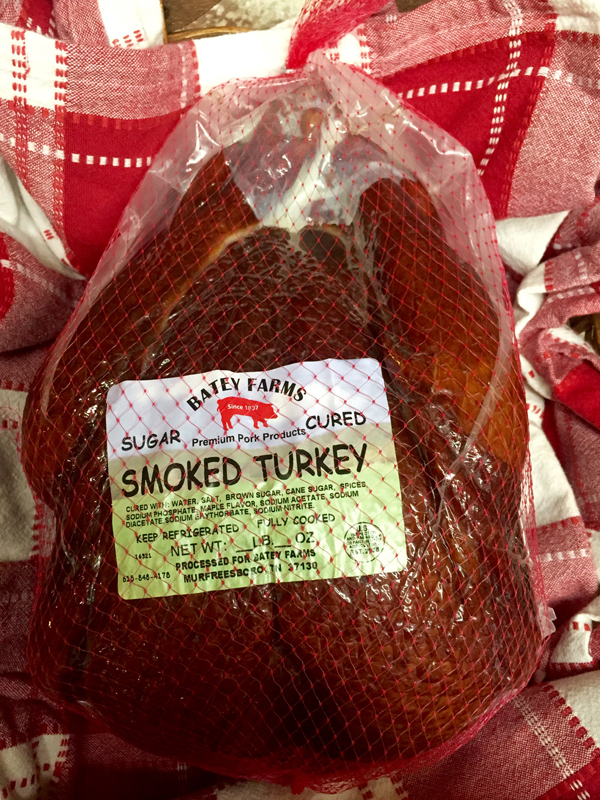 The remaining balance is due upon pickup at Batey Farms. 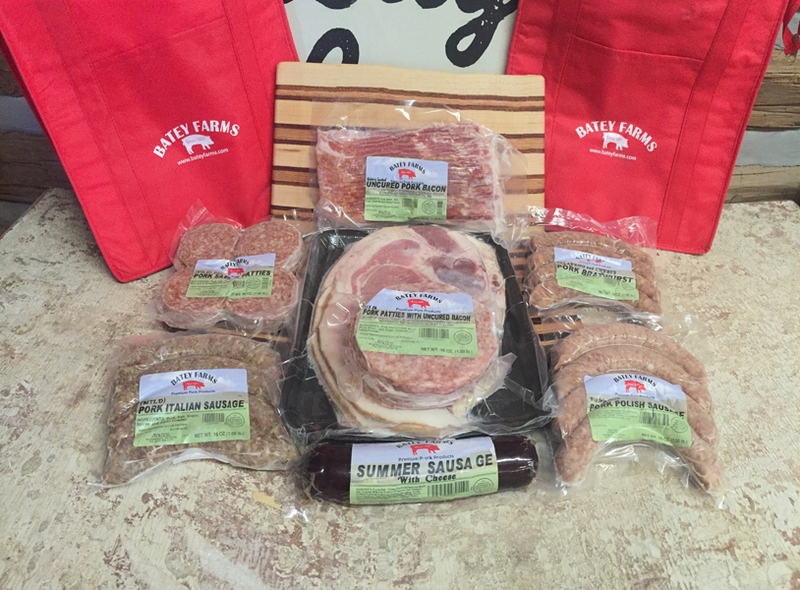 3 kinds of Summer Sausage offered. 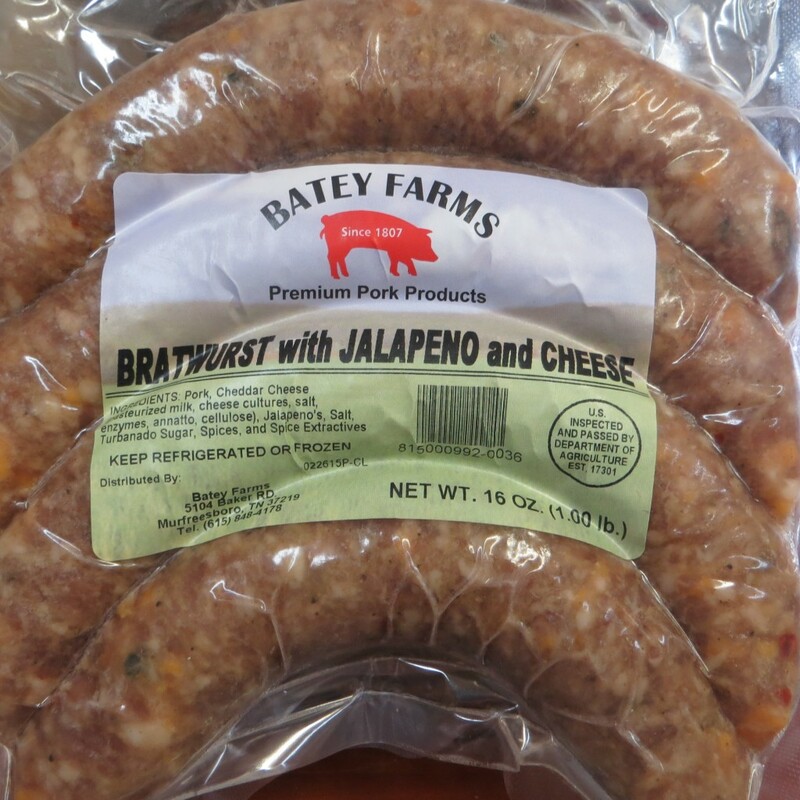 Plain, Cheese, and Jalapeno Cheese. 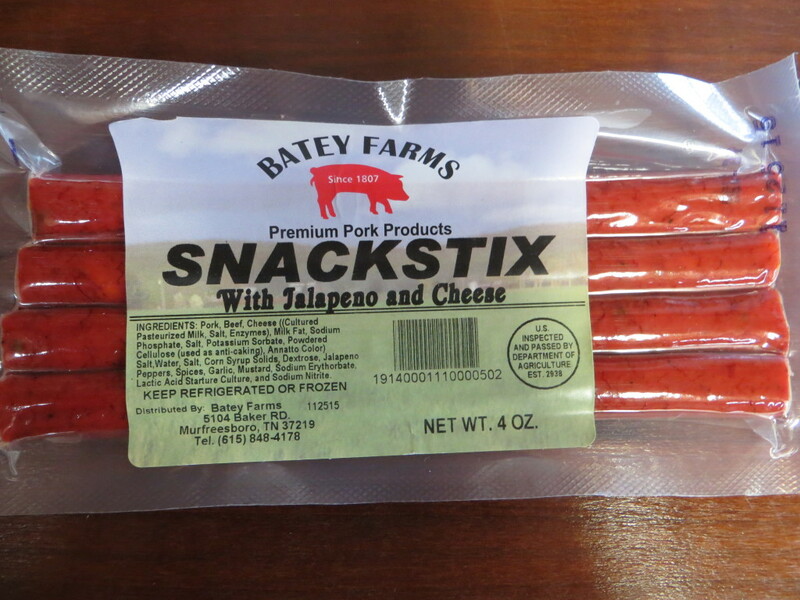 Perfect for quick snacks or meals. 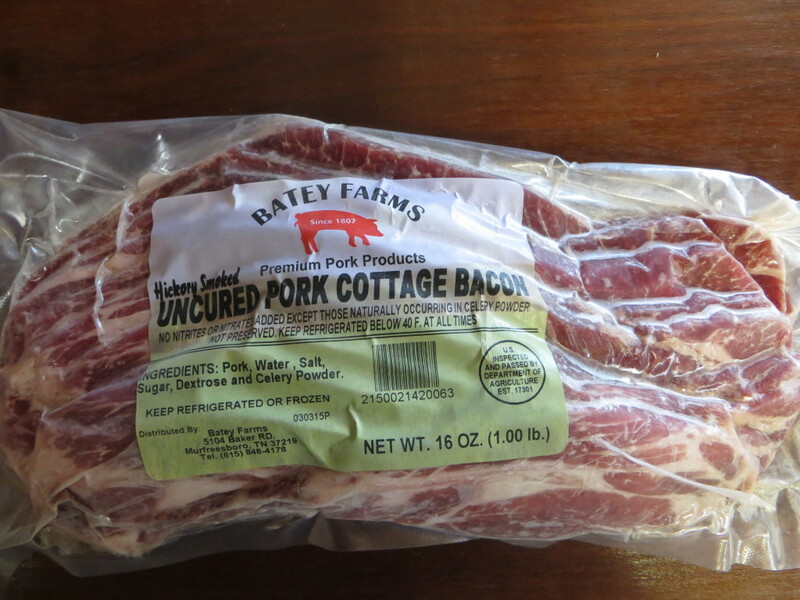 Thick Sliced Bacon, 1 lb. 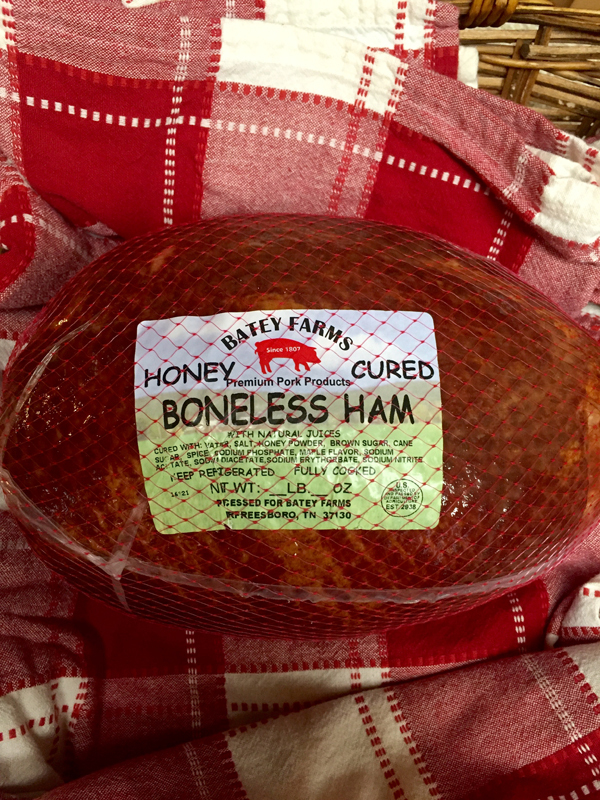 package naturally cured with celery powder, flavored with raw sugar and smoked to perfection! 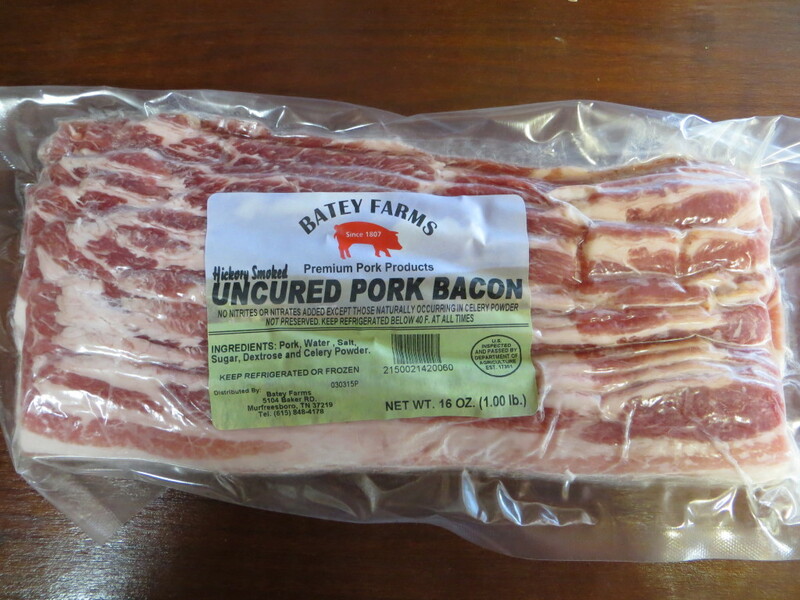 One perfect piece of bacon you are sure to love!